KIEV, April 15. /TASS/. An entertainer can become president, but it is sad when a leader becomes a showman, presidential hopeful Vladimir Zelensky said, addressing his Ukrainian election competitor incumbent President Pyotr Poroshenko on Monday. In a video posted on his official Facebook page Servant of the People Party, presidential candidate Zelensky accused President Poroshenko of failing to fulfil any of his leadership obligations throughout his five-year term. "I hope that you’ll move past the phrase "I’ve heard" and started saying "I’ll do"," Zelensky emphasized. "In particular, jailing the killers of activist Ekaterina Gandzyuk, and the Svinarchuks (Ukroboronprom corruption scandal - TASS), remembering our detained sailors who are sitting behind bars and waiting while you run around looking for Zelensky on TV, have your tests taken and yell your head off at the stadium. Do it all, please. Because a showman can serve as president, but when the president becomes a showman, it is sad." 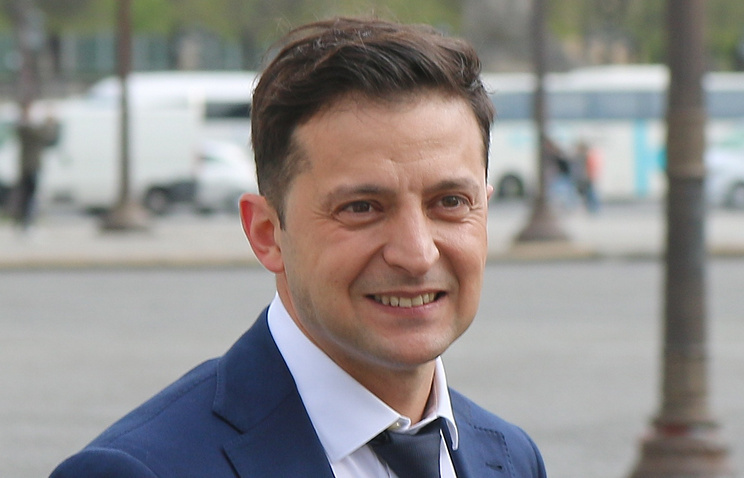 At the same time, Zelensky again confirmed that he was going to be waiting for Poroshenko at the debates on April 19. "And duties have to be fulfilled every day," he reiterated.